Sold by Qianhai and Fulfilled by Amazon. Gift-wrap available. 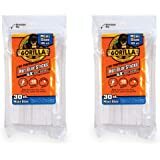 MULTI-PURPOSE & 30PCS FREE GLUE STICKS: Coming with 30pcs environmental-friendly and strong-adhesive glue sticks (5.3”), the gun can well protect your health and items. 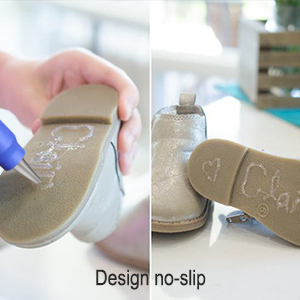 It is perfect for home, office and school DIY crafts like metal, wood, glass, card, fabric, plastic, ceramics etc. Sold by Qianhai and ships from Amazon Fulfillment. Sold by ChengYang and ships from Amazon Fulfillment. 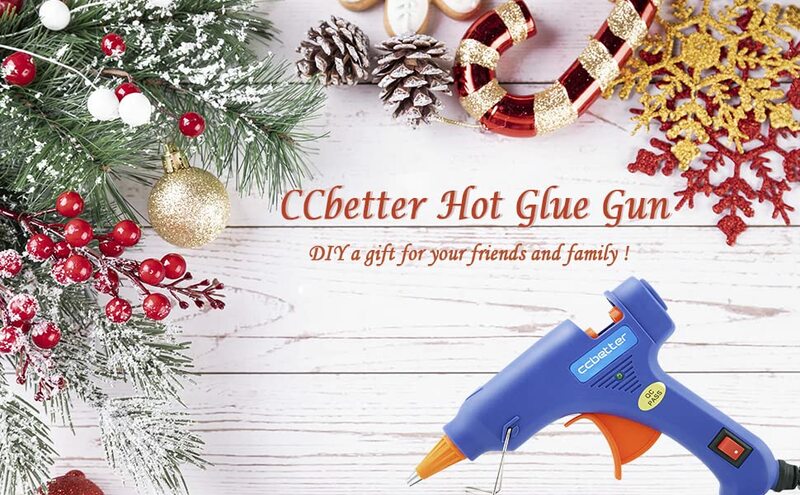 CCBETTER Melt Glue Gun Kit is an easy-to-use adhesive tool not only for DIY crafts making but also for quick daily repairs. 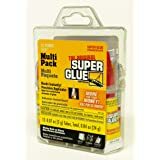 The glue sticks has such strong adhesive that it can easily glue 2 different parts together. But don’t worry that the 2 stickup parts will get dirty after being forced apart, because our glue is very easy to clean. High-quality gun nozzle that can outflow glue smoothly and quickly. The firm built-in stand bracket keeps the glue gun stable and upright. Convenient switch with LED light enables you to turn the power on or off at any time. 1. 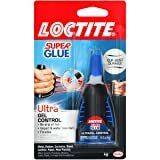 Keep clean of the glue sticks to avoid impurity block the nozzle, and do not pull out of the remanent glue sticks after every use. 2. To avoid getting an electric shock, do not use it in humid environment and keep it away from children. 3. 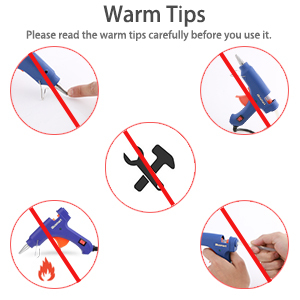 The remaining pressure inside the glue gun will push a little molten glue out of the gun even stop use, so to save your glue, please control the release of the trigger or cut off the power in advance. 5. Take care to keep the tip away from the skin, and don’t touch the glue until it’s cooled, which usually takes about one minute. 6.Glue may continue to ooze out of the gun even when you aren’t squeezing the trigger. When you set the gun down, make sure to place a sheet of paper or cardboard beneath it to protect the underlying surface from drips. Some beloved Small objects have broken? Let's use glue gun to fix them. It can be used for Wood, Ceramics, Card, Fabric, Plastic and so on. Create silk- or dried-flower crafts. Glue pine cones and other natural items to a grapevine wreath for a woodsy greeting. Add beads or other decorations to glass, wood, ceramics, stone, brick, metal, or other materials. Reupholster chair seats for a fresh new look. 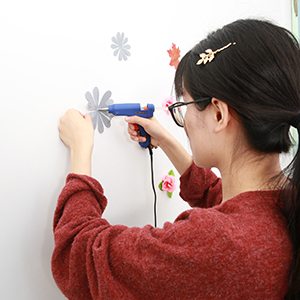 The glue gun can not only be used for practical design, But also for some interesting DIY things, like bracelets, rings, headdress etc. Attach corded trim or rickrack to projects. Decorate picture frames with seashells from a vacation at the beach. Embellish a Halloween costume for an extra-special look. Don't use in humid or high temperature and keep it away from children. The nozzle and the glue liquid are hot when the gun is working, please don't touch it. Don't disassemble the melt glue gun in any case. Note: Don't pull out of the remanent glue sticks from hot glue gun after every use. Just insert a new one to push the remaining short sticks. 5.0 out of 5 starsAt $11 and change this is a Steal! PROS: Attached stand. ON/OFF switch! Super compact, nozzle fits well in small cracks. Comes with a TON of glue. CONS: Stand occasionally gets caught behind trigger. Doesn't interfere with function at all, but have to pull trigger to get it out. I got this glue gun to wrap up my Halloween costume, I would have gotten my money's worth if it had broken straight afterwards, but with two sticks Ive done that, fixed my sandals, fixed a loose desk leg, and a loose drawer, & its still going strong. I'm a big multi-tasker this is often useful in my life, however with a traditional glue gun, this is not a good thing. Most projects you would use one for will have you working with pretty flammable materials, a traditional gun plugs in to power the gun, then heats up for the entire time you have it plugged in, and many don't feature the nice little stand this one has, so putting it down hastily to go finish your cooking, not such a good plan. THIS gun, however, has an on/off switch! This simple but uncommon addition makes all the difference! Its stopped me from burning my house down once already. Hope that was helpful, I recommend thoroughly. This heats up fairly quick. My first impression was that it was lighter and thinner than I expected. (You can see in my photos a few views). I have pretty tiny hands, but still feel like my hand encompasses it all. 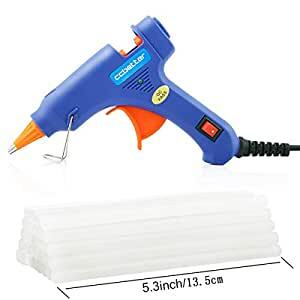 There is a small metal stand that helps keep the glue gun standing up to keep the metal nozzle from resting on surfaces, however, it only keeps it approximately 1/4" off of the surface. Also, since the "kickstand" is about as thick as a paperclip, it is very movement sensitive and will easily knock over if your table or surface isn't 100% solid and still. I personally don't mind, as I use silicone hot glue gun mats to protect my surfaces. so I can lay down my glue guns when I'm working quickly. I have also included a photo of my other glue guns for comparison. My pink one is a small $3.00 one from the craft store cashier's counter that I grabbed when I let a friend borrow my heavier duty blue one on the right side of the picture. It is great that this comes with 25 glue sticks. These particular glue sticks are too large for my small glue gun and too small for my large glue gun. 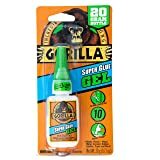 The trigger is easy to use, and it feeds glue just as well as any other typical cheap or pricey glue gun. 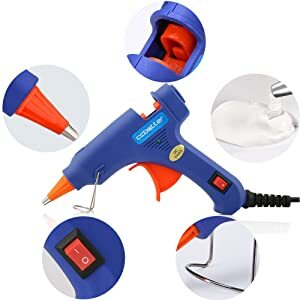 There is an on/off switch, which is a wonderful feature for glue guns, so that you don't need to unplug them every time you want to turn them off. The swivel feature was not really helpful for me, as it was not turning easily. It actually is very tight and doesn't move as freely as I had hoped. I do wish the kickstand was a little more sturdy or for the hand grip to have some sort of flat standing support, like my larger glue gun has. The cord is not very long, so you'll need to make sure you're working fairly close to a wall outlet. This glue gun seems to be similar in comparison to my $3.00 small glue gun (the pink one in my pictures). 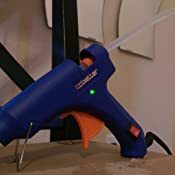 Although this glue gun has a couple more features than my pink one, the materials are cheaper quality than my smaller glue gun, and may not last quite as long. 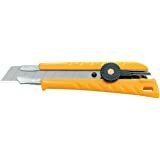 As for value for price, I am writing this review with the Prime Price tag at $10.99. I feel as though the glue gun & 25 glue stick combo would be more appropriately priced at $6-$8. 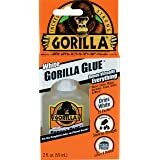 This would be great for a starter glue gun or for small projects, but if you are going to be using a glue gun often and for many projects, I would suggest investing in a heavier duty one than this. 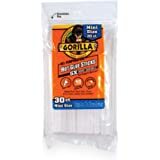 I was provided this for the purpose of sharing my honest experience and feedback to assist, not only the company in making improvements to their products, but other Amazon shoppers in making informed decisions on their purchases. 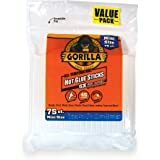 I have been shopping on Amazon for 10 years and utilize the information given in reviews to help me decide if I would like to purchase an item. I strive to give as detailed information as I can while writing about my experiences to help you decide if this product might be what you are looking for. Not all of my experiences have been great with a product, but I try my best to handle issues as politely as possible with the sellers. My review and star rating will never be influenced in any way, by discounts and/or promotional items. My reviews have and will always remain 100% true to my experience. 5.0 out of 5 starsLittle but perfect! 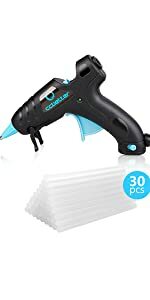 This glue gun is perfect for the price! 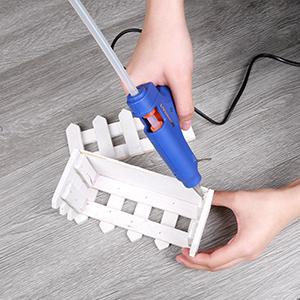 You wil not be sorry if you purchase this mini glue gun. it also has an on/off switch. Love it! 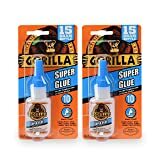 Excellent glue AND glue gun! 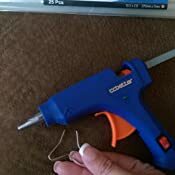 I use my glue gun for embossing seals, as well as many other projects, and this small hot glue gun is perfection, and cools down quickly, too. On off switch is great! The coloured glitter glues are awesome for crafts, you can use them for adding feathers to beads, and you can also emboss and paint on the coloured glue (please see my photos). Wonderful product and great colours! 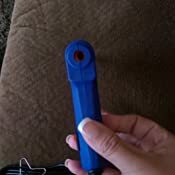 5.0 out of 5 starsBuy this glue gun! Easy to use, doesn't stand with long piece of glue sticking out of it, but that's because it is small. I love this thing! Heats up quick, glue doesn't keep pouring out of it either. 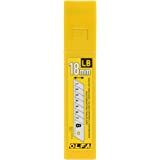 If you need a glue stick for the occasional project, look no further! 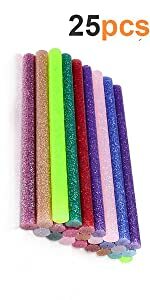 It also comes with a TON of glue sticks! I have made 2 wreaths so far and it worked great! 5.0 out of 5 starsGreat for everything! 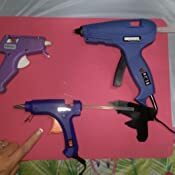 Great glue gun! Works as advertised. Sometimes I forget to flip the switch on, and wonder why it is not heating! I have two of these. The first one I ordered (left) was very okay. The second one I ordered (right) has a cheap plug and got so hot that it actually burned me. My husband (who works with electrical equipment) looked them over and said that the plugs are VERY cheap and that they could burn the house down. I have already verified that bumping them will burn your flesh off.